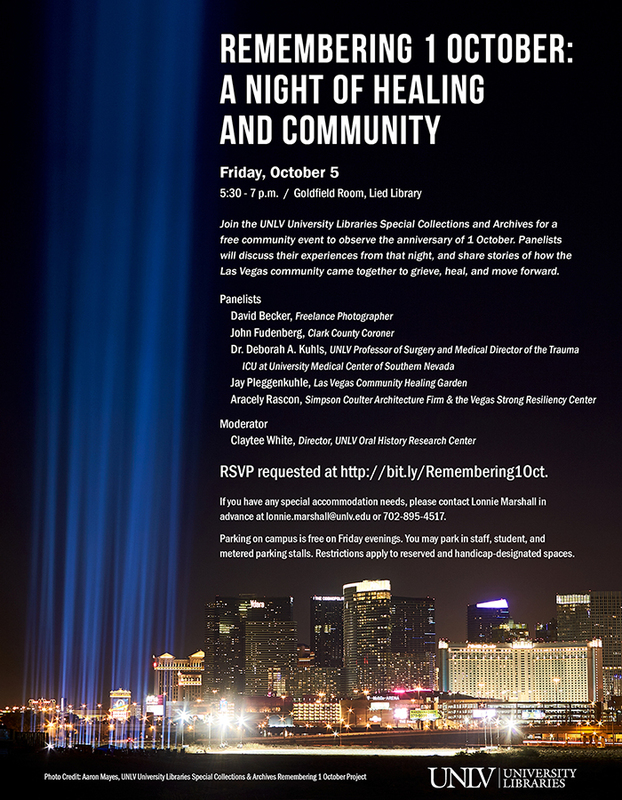 Join the UNLV University Libraries Special Collections and Archives for a free community event to observe the anniversary of 1 October. Panelists will discuss their experiences from that night, and share stories of how the Las Vegas community came together to grieve, heal, and move forward. Parking on campus is free on Friday evenings. You may park in staff, student, and metered parking stalls. Restrictions apply to reserved and handicap-designated spaces. If you have any special accommodation needs, please contact Lonnie Marshall in advance at lonnie.marshall@unlv.edu or 702-895-4517.